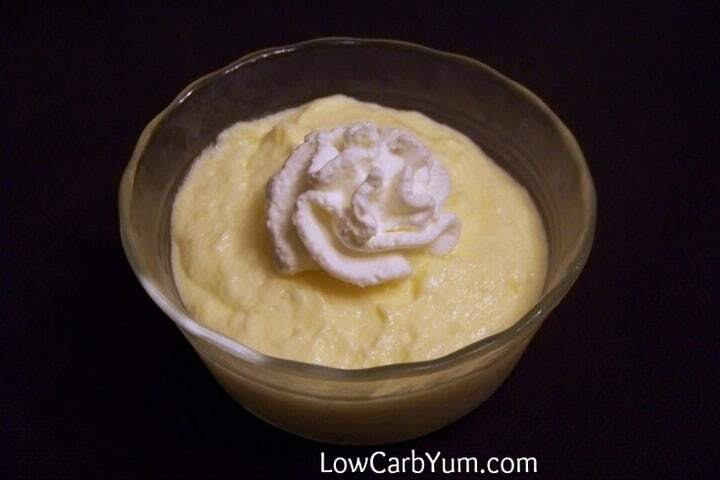 Creamy sugar free low carb banana pudding thickened with egg yolks. Can also be made as chocolate or vanilla flavored. Great topped with whipped cream. 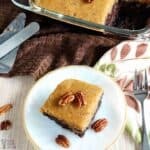 It’s very difficult to get the consistency of regular pudding when converting a regular recipe to low carb. Most homemade pudding recipes use corn starch as the thickener which has too many carbs. 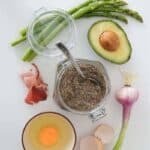 A good low carb thickener for pudding is either xanthan gum or guar gum. You can even use a mixture of both of them. The thickness will be a little different than regular pudding, more on the “gummy” side, but it does hold together like pudding. 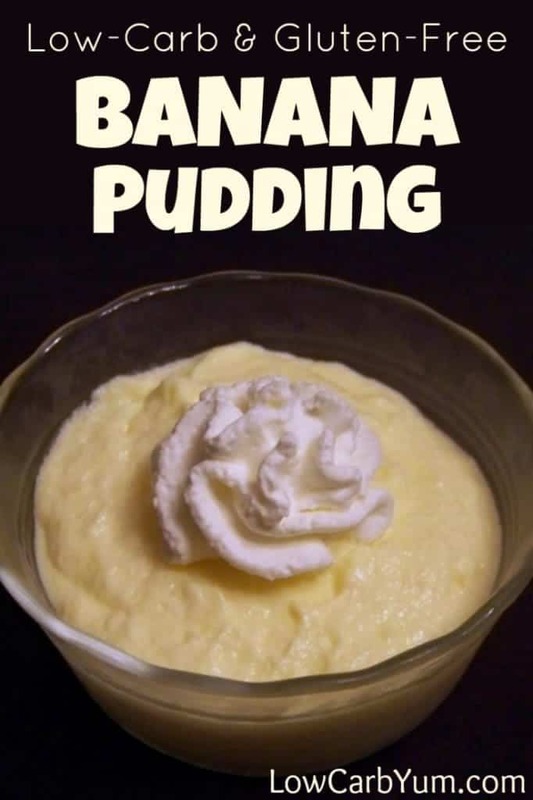 I had some all natural banana extract on hand and wanted to use it up so I thought I’d see how it tasted in a low carb banana pudding recipe. It was really good, but I may also add a little vanilla extract next time. I think this recipe could be doubled with a little more thickener added to make a banana cream pie. For a pie, I would add some whipped heavy cream with gelatin mixed in to firm up the cream. 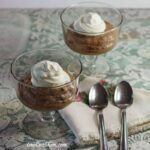 I’ve included some variations to this sugar free banana pudding recipe to make either a vanilla or chocolate pudding. 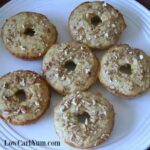 So, if you don’t care for banana flavor, it’s easy to adapt the recipe for other flavors. 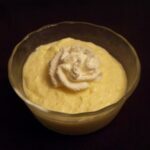 Creamy no sugar added banana pudding thickened with xanthan gum and cooking egg yolks. Can be made as banana, chocolate, or vanilla flavored. Top with whipped cream for a special treat. Heat cream and water until hot but not boiling. Meanwhile, beat egg yolks with a fork until well blended. Set aside. 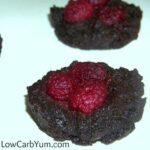 Mix erythritol, stevia, and Xanthan Gum in a separate small bowl and set aside. 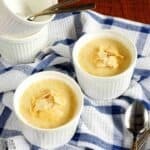 When cream is hot, slowly add about 4 tablespoons to egg yolks, stirring quickly with fork after each small addition. Pour yolk mixture slowly into hot cream while whisking quickly. Reduce heat to low, then gently sprinkle erythritol mixture over pudding and whisk until smooth. Cook for 3-4 minutes or until thickened, then remove from heat. Stir in banana extract. 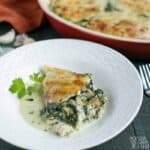 Spoon into 3 individual serving dishes. Cover each with plastic wrap directly on pudding so skin won’t form. Chill. 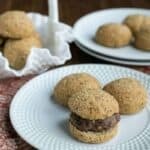 Serve with sugar-free whipped cream. 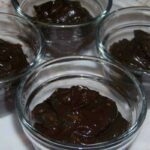 Chocolate Pudding: Add 2 Tablespoons of unsweetened cocoa to the erythritol mixture and substitute vanilla extract for banana extract. 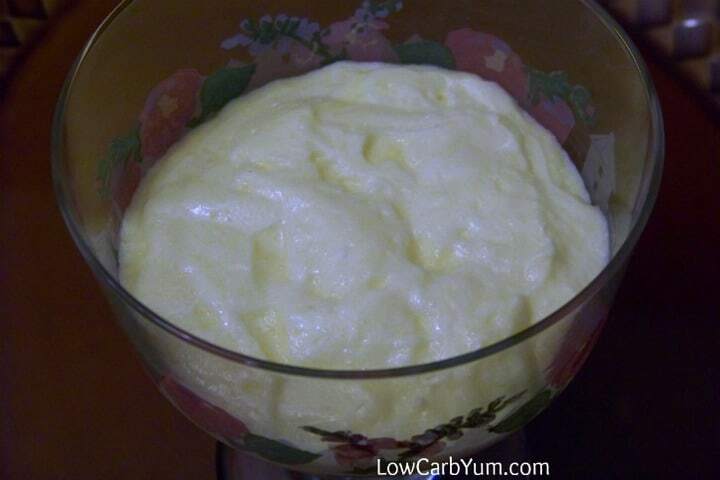 Vanilla Pudding: Substitute vanilla extract for banana extract.